HAPPY NEW YEAR 2017 AND WARMLY WELCOME TO VIETNAM! The ASCC Conference 2017 is fast approaching. The ASCC Conference 2017 is an annual forum for academicians, experts and practitioners from across Asia Pacific to exchange ideas on regional economic issues, as well as to discuss prospective collaboration among APEC Study Centers. 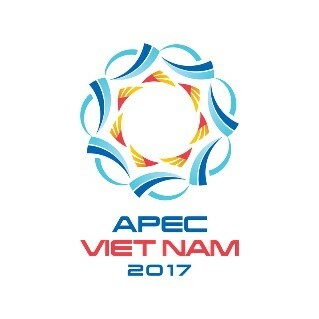 This year, the ASCC Conference is jointly organized by the Diplomatic Academy of Vietnam in association with Vietnam’s National APEC Secretariat. Besides researchers from APEC Study Centers, the conference is also joined by representatives of Vietnamese related ministries and think-tanks, the APEC Secretariat, ABAC, PECC, ERIA and APEC Policy Support Unit. Findings and outcomes of the conference would be considered to be incorporated with other APEC working agendas and APEC documents. The Diplomatic Academy of Vietnam is very honored to host the APEC Study Center Consortium Conference 2017 and ASCC Business Meeting in Hanoi. The ASCC Conference 2017 (ASCCC) takes place in a complex and fast-changing global and regional context. World trade growth has weakened significantly to the lowest level since the financial crisis of 2008-2009. Since then, the global economy continues to witness a sluggish recovery. The surge of protectionism and anti-globalization sentiment, as well as political uncertainties, signal potential risks to the Asia Pacific region. APEC is also facing a wide range of challenges, which hinder member economies from achieving the Sustainable Development Goals (SDGs). Against this backdrop, joint efforts in optimizing developmental resources and generating new ideas for promoting growth and trade become vital to all APEC members. A common understanding of the region’s current and upcoming trends is also crucial for fostering a post-Bogor vision of APEC and creating synergy between member economies. Enhancing food security and sustainable, climate-friendly agriculture. Developing new ideas for enhancing MSMEs’ competitiveness, innovation, and participation. Making recommendations for fostering resilience and sustainable development in Asia Pacific. This session will focus on analyzing the global and regional context, identifying new trends of the regional economy and assessing their implications to APEC. Emerging trends in the region can pose challenges to economic growth, the achievement of Bogor goals as well as the post-2020 vision of APEC. Therefore, a comprehensive assessment of regional trends is imperative for APEC leaders and enterprises in crafting development strategy. Discussion on this topic is aimed at answering several questions including: Which role can APEC play in enhancing economic cooperation, prosperity, and development? What measures can be taken by member economies to encourage APEC’s effectiveness and relevance in the new context? What are the key factors generating new dynamisms for APEC in the near future and post-Bogor period? Which is APEC’s position in the evolving regional architecture? The FTAAP is becoming more important, especially after President Donald Trump decided to withdraw the US from TPP. But the key question is how to move FTAAP forward? The opportunities to realize a Free Trade Area of the Asia-Pacific (FTAAP) have been reflected in a number of APEC declarations and studies. Meanwhile, recent developments in Asia Pacific, particularly the surge of protectionism, indicate the difficulties that APEC members are facing on the path to FTAAP. The purpose of this session is to exchange views on FTAAP’s prospect and suggestions to advance this commitment in forthcoming years. Human resources and technological innovation are key factors in enhancing competitiveness and economic growth prospect for APEC members. The digital age also requires new approaches to education, training and human capital development. In this session, participants are invited to elaborate opportunities for promoting regional trade and integration through education and technological cooperation. MSMEs have been considered as one of the most important driving forces for economic growth and development in the region. This session is to examine ways to enhance capacity and competitiveness of MSMEs for adaptation to new trends and challenges in the Asia-Pacific region. The topic also includes measures to support start-up businesses and foster a regional network of MSMEs, as well as to promote MSMEs’ participation in the regional value chain. This session focuses on solutions for APEC economies in order to pursue sustainable development given the context of increasing threats to economic security such as climate change, food, and energy security, epidemics, transnational crimes, etc. The discussions will cover the following issues: (i) Developing climate-friendly and resilient economy for ensuring sustainable development; (ii) APEC’s role in the accomplishment of Sustainable Development Goals (SDGs); (iii) Risks management recommendations for APEC economies. Academicians, researchers, policymakers in APEC member economies are warmly invited to attend and present their ideas, their papers at this year’s ASCC Conference in Vietnam. This year, ASCC Conference is planned to be organized along with SOM 2 and MRT meetings in early May in Hanoi, the capital of Vietnam. The detailed program, list of participants and administrative note will be released in due course. The organizing committee of ASCC Conference 2017 wishes to have 4 or 5 papers for each topic. The papers could be prepared in word version or power-points or both. If you have any inquiry or question, please feel free to email to the same person and same email address as indicated above. (*) Due to the fact that Vietnam will celebrate Tet Holiday (Lunar New Year Holiday), so we will be off working from 26 January to 1 February 2017. Please register and submit your abstract after the holiday. We thank you very much for your cooperation and look forward to meeting you at the ASCC Conference 2017 in Hanoi. Your active participation and contributions to the conference are highly appreciated.